Israels’ Lampados International reports growing demand for its innovative Liteez sweetener — a vegan, egg-free 3D meringue kiss sweetener for hot drinks – and which a leading UK food-bev website, www.foodbev.com, has named as among its most interesting new ingredient launches of 2017. The company has recently completed a new plant expansion for Liteez production, investing $0.5m to make it fully automated and modular, to allow maximum flexibility for increasing capacity as well as creating additional, customized sweeteners, says Lampados CEO Noam Kaplan. The plant is BRC- and kosher-certificated to meet food manufactures’, retailers’, and consumers’ highest standards of requirement, he adds. 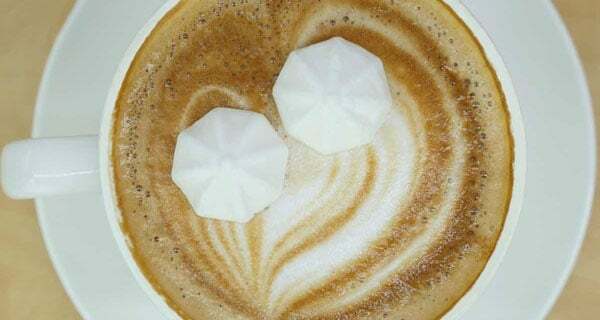 Liteez, available as either a stevia- or sucralose-based product, is shaped like a meringue, but can be melted into hot drinks or baked into snacks as a substitute to more calorific sweeteners. Two pieces of Liteez provide around 2kcal, compared to the 20kcal in a single teaspoon of sugar. It has been developed by Lampados using just six plant-based ingredients. “The idea was to craft a whole new concept for a healthier, tasty, and indulgent sweetener – to simply create a new experience for coffee and tea, or as a casual snack,” explains Kaplan. “Many consumers crave something sweet both in and with their coffee. Our ‘meringue kiss’ fulfills both needs for a delicious, low-cal sweetener or as an indulgent dessert, without compromising on taste and while helping with weight management. It was developed in collaboration with Israeli innovation company, Practical Innovation. “Our mission was to help a traditional sweetener company make a completely novel product that takes the concept of sweet indulgence to a unique level,” says Practical Innovation CEO, Tal Laizer. “The demand for our 3D sweetener has grown extensively in Australia, India, South Africa, Europe and Central America,” adds Kaplan. “Most of our clients are seeking to expand their portfolio with innovative sweeteners and/or cookies, and are keen to launch a next-gen sweetener that will give them a competitive edge in the market.